Dr. Morley Hunter grew up in southern Alberta. Upon completing high school in Medicine Hat, he studied Civil Engineering at Royal Roads Military College in Victoria and Royal Military College in Kingston, Ontario, graduating with a Bachelor of Engineering (Civil) and receiving the Royal Military College Medal for the highest marks in Civil Engineering. Following two years in the U.K. attending the School of Military Survey in Berkshire, he attended Carleton University in Ottawa, completing a Master’s Degree in Structural Engineering. 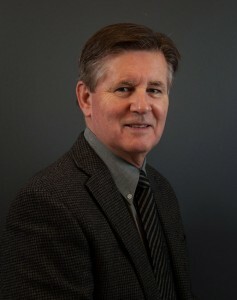 As he had always had the desire to “build bridges of a different kind,” he went off to the University of Manitoba and completed his Doctor of Medicine in Dentistry, receiving numerous awards for high standing as well as the Dr. H. H. Sauderson Scholarship in clinical dentistry, The Canadian Association of Oral and Maxillofacial Surgeons Award, and the American Association of Endodontics award upon graduating in 1983. Dr. Hunter spent four years as a general dentist treating military families in Petawawa, ON, and in the Netherlands. Returning from the Netherlands to Vancouver, he attended UBC for the graduate program in Periodontics and Implant Dentistry. Dr. Hunter has been in private practice in Victoria as a specialist in Periodontics since 1993. He and his wife Leslie live in Victoria. The last of their three children graduated in 2012, and so they are getting used to the empty nest!